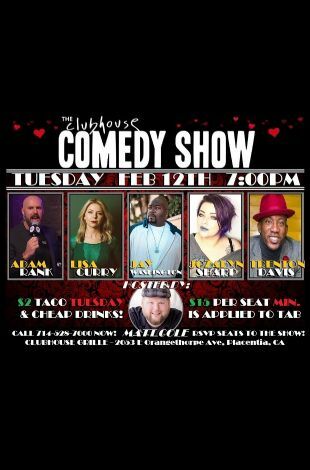 Please note The Clubhouse Comedy Show! - Pre V-Day occurred in past. 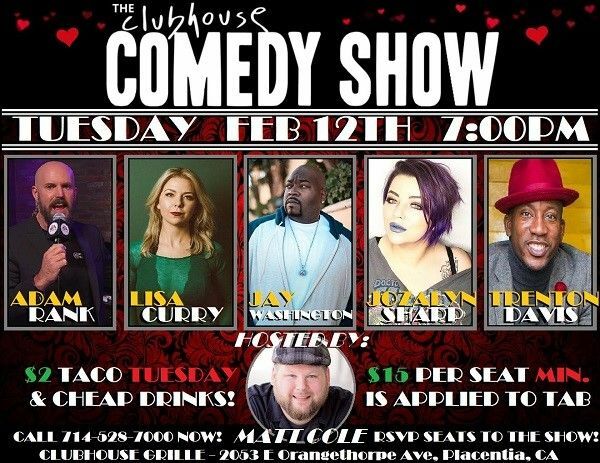 The Clubhouse Comedy Show is back in time for your Valentine's Date Night! Tuesday February 12th 7:00pm! Call 714-528-7000 NOW to RSVP a Table for the Show! We have a hilarious of a lineup for this show! Featuring: Trenton Davis - Jozalyn Sharp - Jay Washington - Lisa Curry and Adam Rank!